Hey! 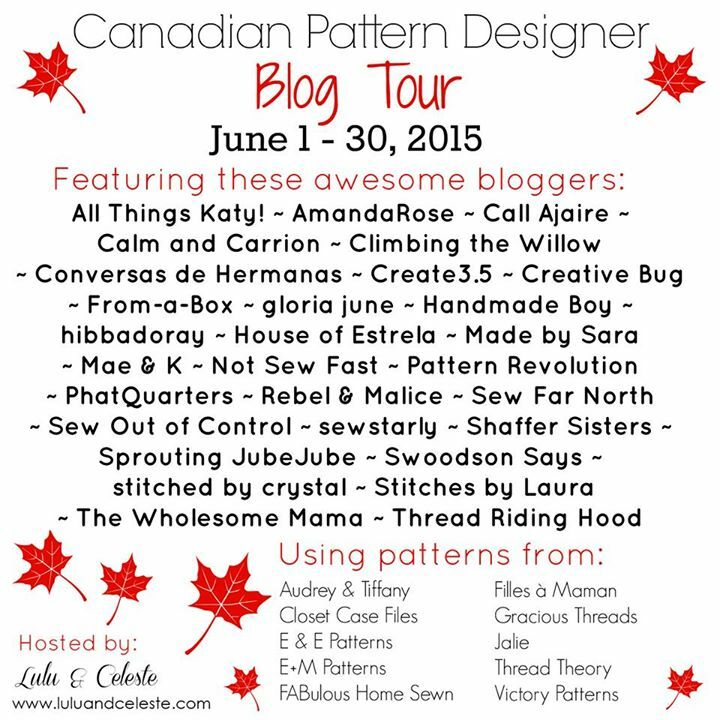 Welcome to the next stop on the great Canadian Pattern Designer's blog tour! 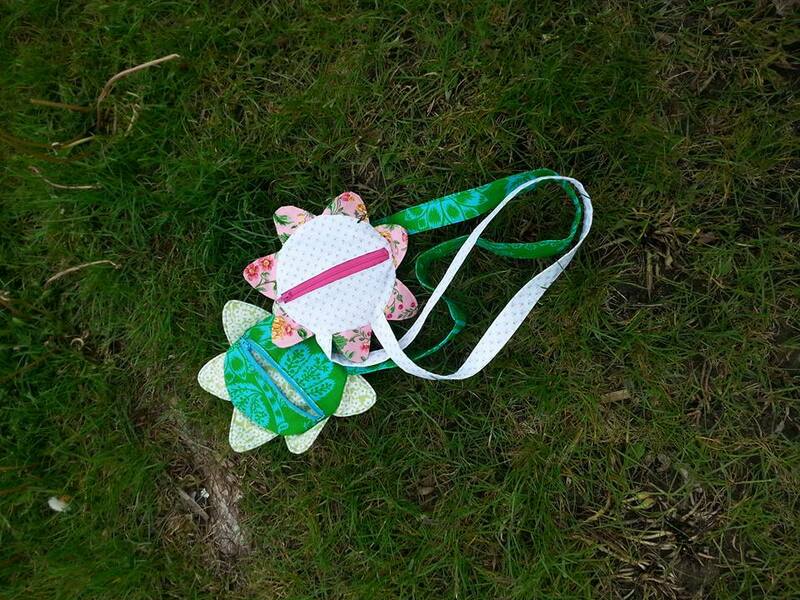 Today I'm featuring for you the adorable Perfect Petal Purse from FABulous Home Sewn. This little purse is a quick sew - the petals are a little fiddly, getting them placed just right, but the whole thing takes around an hour, hour and a half start to finish. Lightweight interfacing keeps the shape of the petals and body nice, and keeps the strap from twisting and wrinkling. Trust me, cutting all those petals is worth it! I used two coordinating fabrics for each of my purses, but it would also be fun to make one to look like a sunflower, or maybe a bright Gerbera daisy! The strap length can easily be customized for a smaller or taller child (or adult!) - I made two purses, one for each of my girls, and made the strap for Sam just a bit shorter to make up for the height difference. The girls love their little purses - they're perfect for carrying little treasures and treats, and what kid doesn't love a zipper? Make sure you take advantage of FABulous Home Sewn's coupon code: ocanada on Etsy for 15% off (prices marked down on Craftsy), good til the 20th of June! 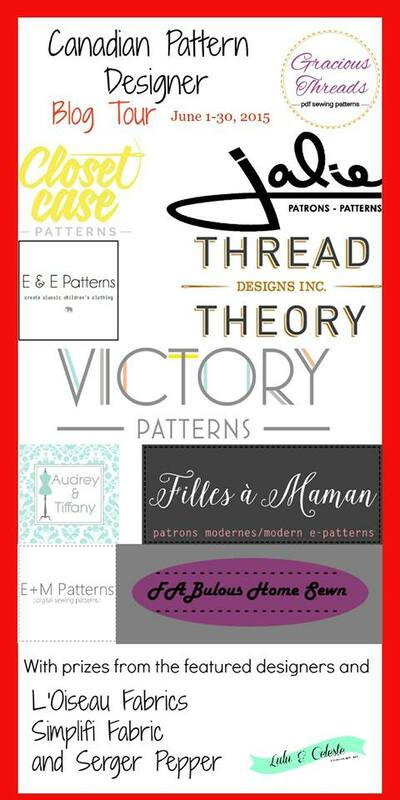 And, enter the giveaway below for a chance to win a pattern of your choice from FABulous Home Sewn! There's more. 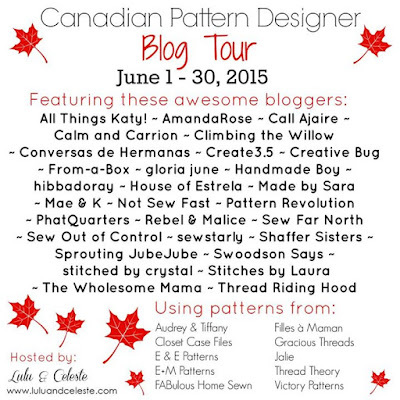 Follow along with the tour by clicking any of the links below - check out all the posts for more chances to win from more amazing Canadian designers. Love the fabrics you used on this cute purse! :) Thanks! 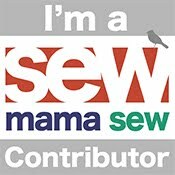 And thank you for a great pattern! Thank you so much for taking part in the tour Meriel! Love your little purses, so cute! Thanks Ula! And thank you for having me along, it was fun!